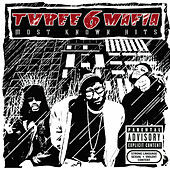 Though they're well established in the South, Three 6 Mafia had a hard time breaking nationally until 2005. This hits collection serves as a musical history lesson for anyone who's been sleeping on the crew -- Juicy J, Crunchy Black, DJ Paul, et al serve up a solid retrospective of their dark and disturbing proto-crunk fury. "Tear Da Club Up 97" is a standout.